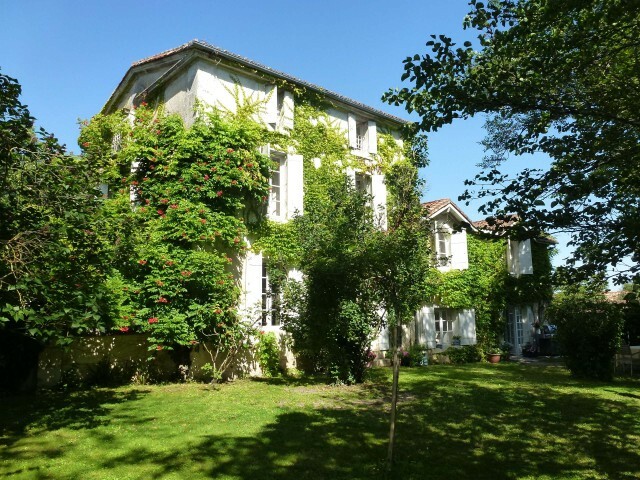 Luxe à Ribérac: majestic luxury holiday home and cottage, perfect for families and children in the Dordogne, 5 bedrooms, beautiful gardens and heated swimingpool. In the heart of the Dordogne, in the Green Perigord, Riberac, capital of foie gras nestles into the valley of the Drone. 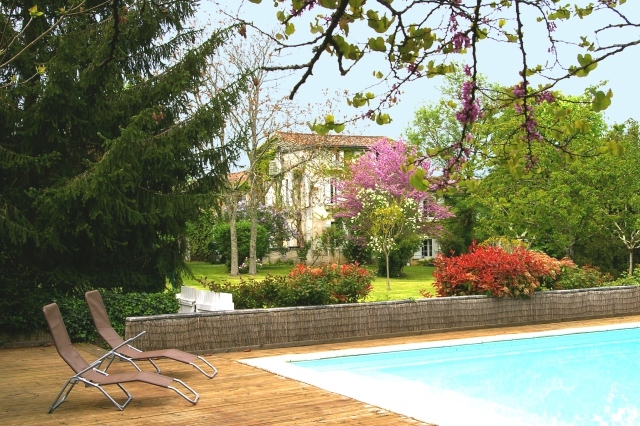 La Charrouffie is a luxury villa and a small independent gite (we call it Les Petits Tilleuls) all within walled gardens within 10 minutes walk from the center of Riberac and its bustling market and restaurants. We welcome families and children of all ages. La Charrouffie offers you a moment of relaxation, pleasure and tranquility, whether it is just for you, or with your family and friends.